Redbone, who has a distinctive deep voice, began his career in the 1970s. His work encompasses pre-war jazz, ragtime, & blues styles with modern arrangements that still retain a vintage feel. While living in Canada in the early 1970s, Redbone began performing in public at Toronto area nightclubs and folk music festivals. At one point, it was rumored that he was actually comedian Andy Kaufman, who sometimes took on other identities, or singer/guitarist Frank Zappa, who somewhat resembled Redbone. While living in Canada in the early 1970s, Redbone began performing in public at Toronto area nightclubs and folk music festivals. At one point, it was rumored that he was actually comedian Andy Kaufman, who sometimes took on other identities, or singer/guitarist Frank Zappa, who somewhat resembled Redbone. However, Redbone has performed since the deaths of Kaufman and Zappa, and the rumors have subsided. 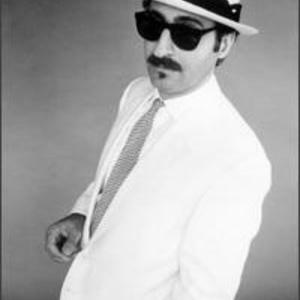 David Letterman once proposed that he was Don Novello, the comedian famous for playing Father Guido Sarducci. In 1974, Rolling Stone magazine ran a feature article on Redbone, a full year before he had a recording contract. The article described his performances as "so authentic you can hear the surface noise [of an old 78 rpm]." His first album, On the Track, was released by Warner Bros. Records in 1975. He was introduced to a larger public as a semi-regular musical guest on NBC's Saturday Night Live throughout the late 1970s and into the 1980s. In a late-'70s appearance on the The Merv Griffin Show, he was introduced as "Andy Kaufman ...maybe or maybe not," alluding to the eccentric comedian as being his possible true identity. During the 1980s-90s Redbone was a frequent guest on The Tonight Show with Johnny Carson. It was apparent from the on-air exchanges between host and guest that Carson was a fan of Redbone's work.